ITANAGAR, Dec 21: The Arunachal Indigenous Tribes Forum (AITF) has accused the Pema Khandu government of not being serious about addressing the multi-crore Trans-Arunachal Highway (TAH) scam in Lower Subansiri district. Addressing media persons at the press club here on Friday, AITF president Bengia Tolum said “the state government is not taking the matter seriously, despite the fact-finding committee (FFC) having submitted its report. 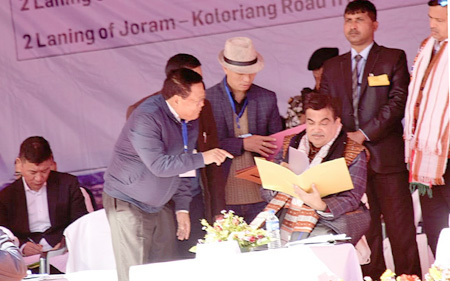 On Thursday, members of the AITF had called on Union Road Transport & Highways Minister Nitin Gadkari during the latter’s visit to Lower Subansiri HQ Ziro, and submitted a memorandum seeking action against those involved in the TAH scam, based on the FFC’s report on the compensation issued against the Potin-Pangin section of the highway. During the brief meeting, the forum demanded that the union minister initiate legal against action false claimants of compensation against assets on the right of way (RoW). It also demanded early start of construction of the Potin-Pangin road, and handing over of the case to the CBI. “For submission of memorandum to union minister Nitin Gadkari, I started seeking appointment from local MLA Tage Taki and CM Pema Khandu since Pakke-Kessang district inauguration; but till yesterday (Thursday) there was no communication from them. Ultimately, they advised us go and submit memorandum,” Tolum said, and condemned the government for trying to shut them off from the issue. Tolum said the AITF team somehow managed to hand over the memorandum to Gadkari, and to brief him on the current status of the TAH scam, “and how the state government is unable to take action against the culprits,” while MoS Kiren Rijiju was delivering his speech. Allegedly, more than Rs 29 crore was paid to false claimants who have no structures on the RoW. “The fact-finding committee has submitted its report. However, so far no action has been initiated against the culprits. It shows that the government is also involved in the multi-crore scam,” the AITF claimed. “Even Assistant Engineer Toko Taje, whose name is among the culprits’ list, is still continuing as AE in Yachuli with no action against him,” Tolum said. “If the MLAs are not involved, they should lead from the front. They are elected representatives to take up our issue. 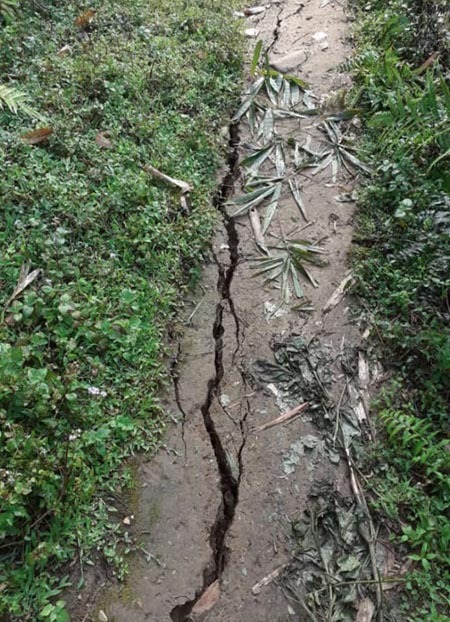 Simply claiming themselves clean will not work,” said Tolum, and questioned Raga MLA Tamar Murtem, Ziro MLA Tage Taki and Yachuli MLA Likha Saaya’s alleged silence over the issue. When contacted by this daily, Saaya said he had already clarified his stand in the court during the course of the defamation suit against former Lower Subansiri DC Kemo Lollen. He, however, did not divulge the details of his clarification. The AITF also castigated Rijiju for passing the buck to the state government and the people in the matter of the delay in executing the TAH project. “In his speech he just gave a clean chit to himself by shifting responsibility to the state government and the local people for delaying. Today we ask him, being the MP of this constituency, is it not equally his responsibility?” Tolum said.